I’m looking forward to the day when an iteration of the Elder Scrolls will come to iPad. Imagine strolling through Tamriel on your Retina display, engaging in Infinity Blade-style combat with man and beast. It’d be glorious. I’m not sure that day will ever come, but I’m anticipating it just the same. I’ll be happy when the latest version of iPad has the hardware to run such a game, regardless. 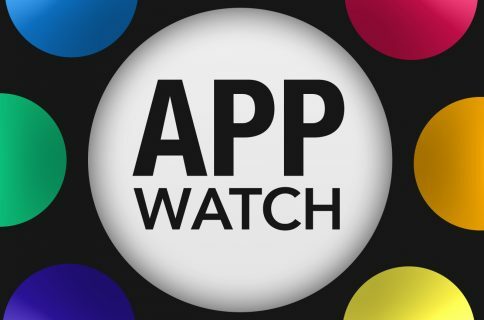 Instead of discussing my recently renewed obsession with Skyrim, we’re here to talk about some noteworthy Apple Watch apps that I’ve come across recently, so let us begin. Proudly proclaiming its status as “the best calculator,” PCalc is certainly one of the most customizable, with the ability to rearrange and resize keys, create constant values, and alter a ridiculous amount of options throughout the app. PCalc’s Apple Watch app isn’t as customizable but still packs quite a bit of functionality into a small package. Pressing firmly on the screen brings up options to clear the calculator or undo your last action as well as send the equation to your iPhone via Handoff, and the app can accept voice input for basic equations, calculate gratuity and check splitting, and more. Perhaps the price tag of $9.99 is a bit much if you’re solely looking for an Apple Watch calculator, but if you want a powerful, customizable calculator for your iPhone as well, PCalc is an excellent choice. Noticeably missing from the list of stock apps that shipped with Apple Watch is Notes, the handy app for quickly taking down anything that might slip your mind later. Note-taking is one of the many small tasks that can be quickly done on one’s wrist with the correct implementation, and that’s exactly what Notes for Watch brings. New notes can be dictated with a tap, while old ones can be read with minimal effort. Notes also allows the font size to be adjusted with a firm press in the app, giving users the choice between large, easily readable font or more text on the screen. Notes for Watch is a simple but well-made note-taking app primarily made for Apple Watch that you can download for $1.99. Despite the abundance of mail applications in the App Store, there are a few that stand out as being very well made. Dispatch is one that takes a stronger approach for heavier email users that has improved since its launch, and it stands out with one of my favorite features – snippets – by allowing users to create TextExpander-like snippets to quickly generate full email replies without having to type them out each time. Dealing with email from Apple Watch is a concept still in exploration, but Dispatch takes a calculated approach to this task with the abilities to read and deal with incoming emails as they arrive. Downsides to its approach include a lack of a unified inbox and the inability to reply to emails from the Watch app, but it seems to handle other basic tasks well. Dispatch is available for $4.99 in the App Store. If you have some favorite Apple Watch apps we have yet to feature on iDB, send me some links to timothy@idownloadblog.com or leave a comment below.